Hover over the image above to shop these products! Now that January is almost over, I'm sure there is am large divide between people who have kept and are maintaining their resolutions, and those who have lost hope and given up. If one of your resolutions was to eat healthier this year, and you've had more slip ups then you'd like, remember that you don't have to change everything all at once. You can make healthy swaps here and there until you've made it more of a routine and a habit, instead of an all or nothing goal. 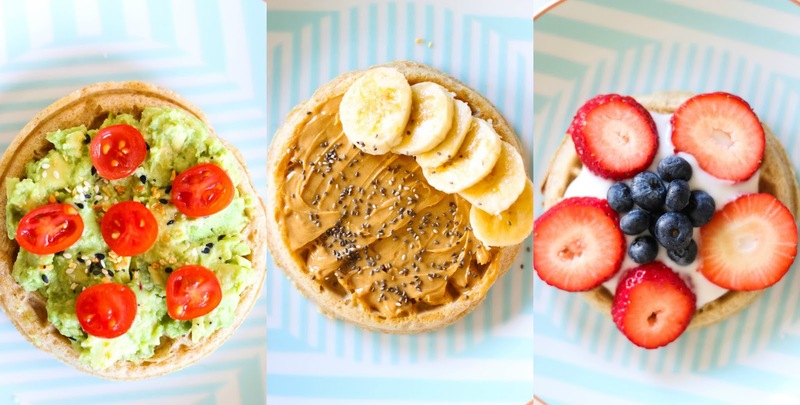 For instance, if you love eating Eggo Waffles in the morning, (and I mean, who doesn't?! 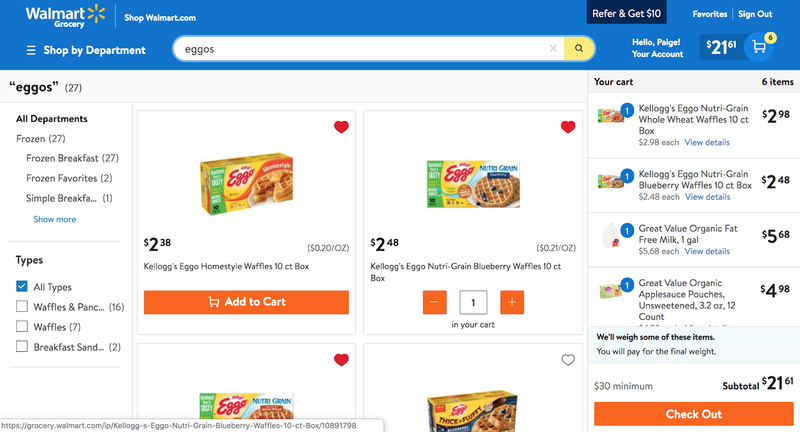 ), then instead of buying the original ones, swap them out on your next Walmart Grocery Pickup order with their Eggo Nutri-Grain Whole Wheat Waffles. Each serving has 8g of whole grains and only 2 grams of sugar. They're also made with no artificial colors or flavors, and are a great source of fiber to start your day. I love taking something that the kids love to eat in the morning, and making an adult version of it for myself. 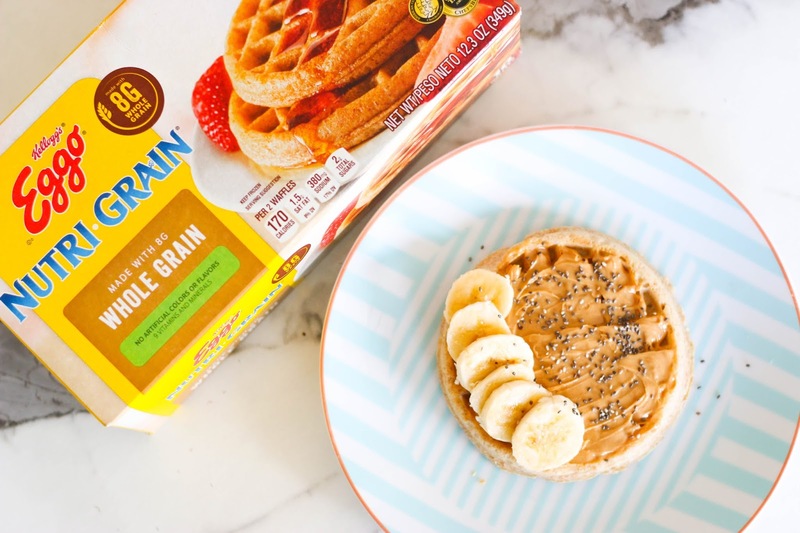 Eggo Nutri-Grain Whole Wheat Waffles are a great base for creating an indulgent and wholesome breakfast for yourself! 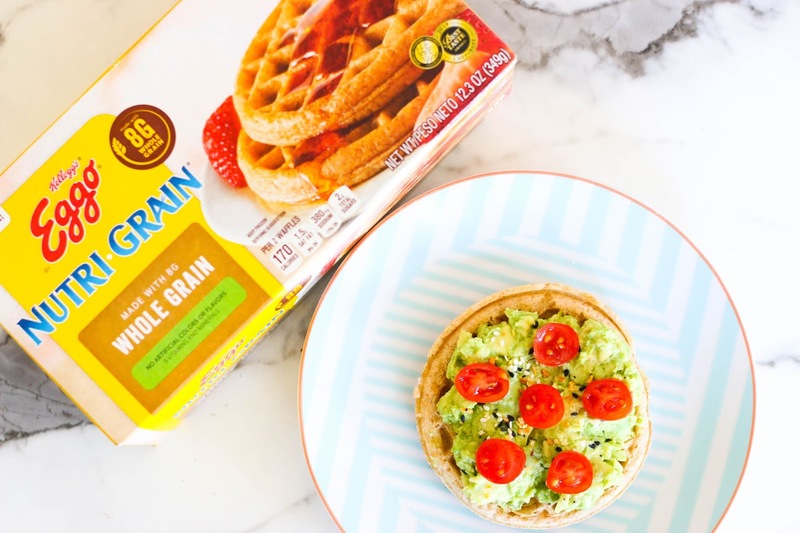 If I'm in the mood for something savory, then I'll turn my Eggo Nutri-Grain Whole Wheat Waffles into an avocado toast. I'll top it with half of a smashed avocado, some cracked salt and pepper, and some sliced cherry tomatoes to give it a savory, elevated flavor. If I'm looking for something a little more sweet, I'll do some all natural peanut butter with sliced bananas and a sprinkle of chia seeds. If I want something light and fruity, I'll do a spoonful of coconut yogurt, with some strawberries and blueberries on top. 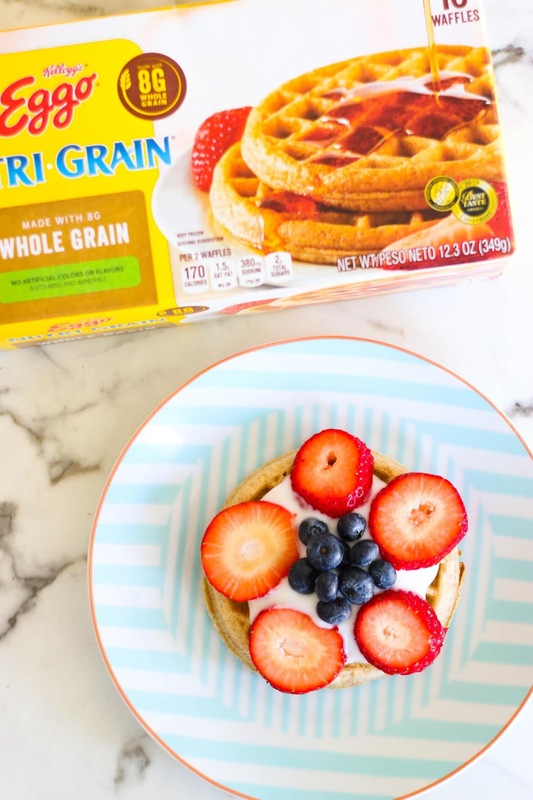 The options are endless, and there are so many ways that you can use Eggo Nutri-Grain Whole Wheat Waffles to get your morning started on the right foot. Prepare your Eggo Nutri-Grain Whole Wheat Waffles as stated on the box, and then top with your favorite flavor combination! I really like your blog it really nice post and information about breakfast. This post is very help full for every mother's. Thanks for giving these information.